You probably know that vitamin D is good for your bones, but that's not the half of it's benefits! Ok, you know that vitamin D is good for bones, but probably don't know just how important it really is. Did you know that osteoporosis and fractures from bone weakness eventually affect half of all women? It's true, and vitamin D helps you absorb important minerals like calcium that strengthen bones. There seems to be a strong direct link between levels of vitamin D and seasonal affective disorder. In fact, this type of depression is much more common in higher latitudes that get less sun, especially during Winter months. 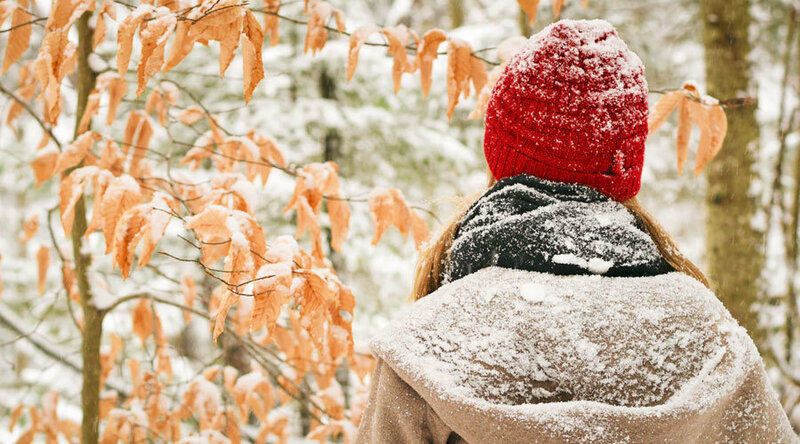 If you get the Winter blues, it might be due to low levels of vitamin D.
Do you gain unwanted pounds in cold weather? It's probably due to your low levels of vitamin D. When your level of vitamin D drops, it actually increases your appetite and can lead to weight gain. Make sure you get enough vitamin D in colder months to keep off unwanted extra pounds. Regardless of what diet you're following (or not!) be sure that you're getting enough Vitamin D, or you could be just spinning your wheels. We couldn't help but notice that a lot of bad reviews for diets on sites like WebMD and Mighty Diets seem to be from users in colder regions, or written in the Winter months. Coincidence? What's worse than being sick in the Winter? How about sick and depressed? Sure, vitamin C gets all the credit for fighting colds, but vitamin D might actually be even better for keeping you healthy. When the weather gets colder and vitamin D levels drop, cases of the flu and colds start shooting up, and it's no coincidence. Vitamin D helps protect healthy cells and inhibits the growth of cancerous ones. In addition to breast cancer, vitamin D has been shown to also help prevent colon and ovarian cancer. Hopefully we've convinced you to get more vitamin D in your diet. The two best ways are getting a healthy amount of sunshine (you only need 10-30 minutes in the Summer) and eating foods like fresh seafood and dairy products.